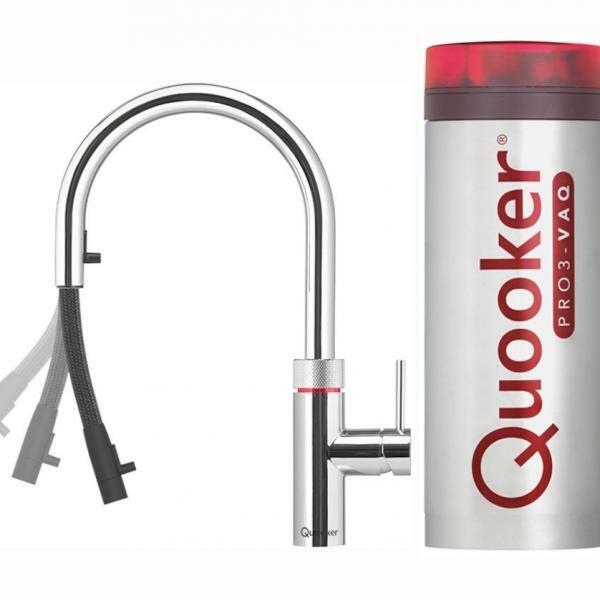 The Quooker Flex is an amazing new produt from Quooker. 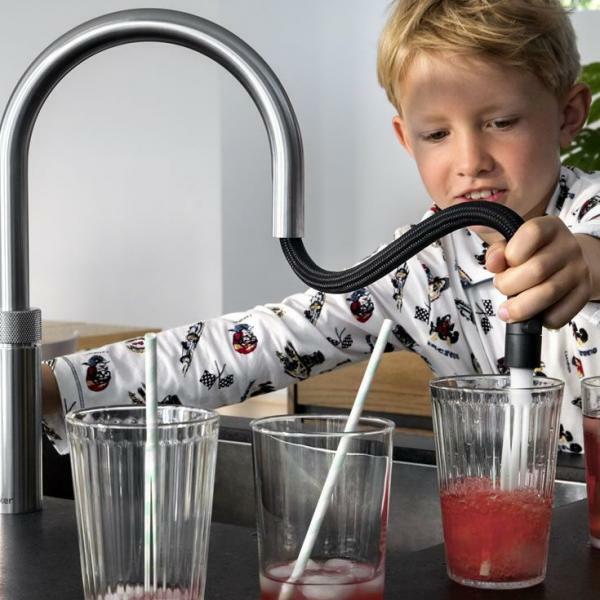 Boiling, hot, cold and filtered drinking water tap in one with a flexible pull out hose, which makes it very easy to clean in any point of the sink. Available in a round style in a polished chrome or a stainless steel finish. Extremely Safe due to the boiling water stop, which stops the boiling water from flowing if the hose is pulled out. No risk of scalding or burning. 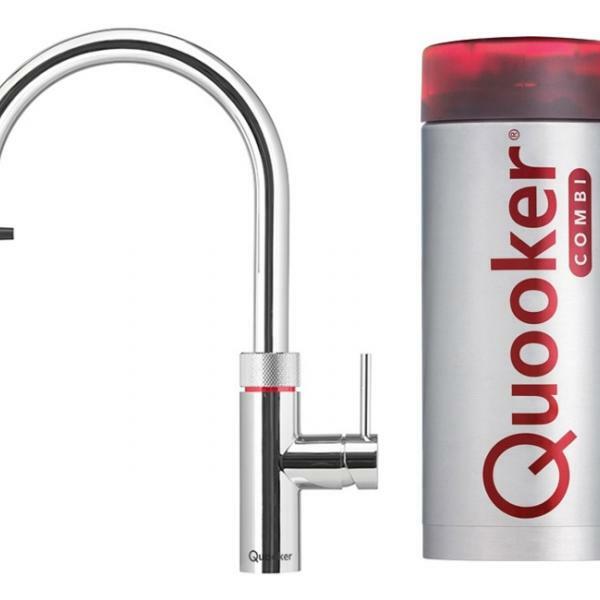 Is also available with a cold water filter option built in to the push and turn function. Friendly Water are on hand to answer any questions you might have about our products.